We are showing a total of 194 discount Campagnolo Wheels wheels, with an average saving of 23% across the range. 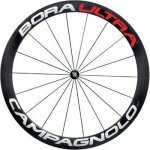 There are savings ranging from £5.76 for the Campagnolo Replacement Jockey Wheels Jockey Wheels at Wiggle, up to £910.00 off for the Campagnolo Bora Ultra 35 Clincher Wheelset 2018 - Shimano/SRAM - Dark Label available at Probikekit.com for £1829.99 and the same percentage saving for the Campagnolo Bora Ultra 35 Clincher Wheelset 2018 - Campagnolo - Dark Label from Probikekit.com at a sale price of £1829.99. 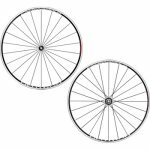 The top percentage discount is 34.00% for the Campagnolo Neutron Ultra Clincher Wheelset - Black - Shimano/SRAM at Probikekit.com, giving a saving of £265.0 reducing the price from £764.99 to £499.99. This level of discount is also available at the following cycle shops: Chain Reaction Cycles, Evans Cycles, Probikekit.com, Wiggle, for example giving a saving of £190.0 off the Campagnolo Zonda C17 Shimano Wheels GP4000s II Bundle at Wiggle for a sale price of £379.99. We've found discounts on 74 wheels and wheelsets for this model, with the price for the Campagnolo Bora Ultra 35 Clincher Wheelset 2018 - Shimano/SRAM - Dark Label giving the largest reduction at 33% off, available from Probikekit.com and saving £910.00. The saving of around £910.00 is available at more than one retailer. and the top percentage discount is also for this model at Probikekit.com. This level of discount is also available at the following cycle shops: Probikekit.com, for example also giving a saving of £474.0 off the Campagnolo Bora One 50 Tubular (2018) Wheel Sets at Wiggle for a sale price of £1129.99. There are discounts available for 12 Campagnolo Bullet, with the largest reduction being 30% off the Campagnolo Bullet Ultra 50 Clincher Wheelset - Campagnolo - Dark Label. This is available from Probikekit.com at a price of £1031.49, saving £453.50. The saving of around £453.50 is available at more than one retailer. and the top percentage discount is 31% for the Campagnolo Bullet 50 Clincher Wheelset - Campagnolo at Probikekit.com. This level of discount is also available at the following cycle shops: Probikekit.com, for example also giving a saving of £254.0 off the Campagnolo Bullet 50 Clincher Rim Brake 700c Wheelset - Campagnolo Freehub Black/White - Carbon at Evans Cycles for a sale price of £748.99. There are 61 wheels and wheelsets currently available at discount prices, with the top saving giving 30% off the Campagnolo Shamal Mille C17 Clincher Wheelset - Shimano/SRAM at Probikekit.com reducing the price by £346.40. The saving of around £346.40 is available at more than one retailer. and the top percentage discount is 33% for the Campagnolo Zonda C17 Shimano Wheels GP4000s II Bundle at Wiggle. This level of discount is also available at the following cycle shops: Wiggle, for example also giving a saving of £182.0 off the Campagnolo Zonda C17 Disc Brake QR Wheelset - Black - Campagnolo - AFS Rotor at Probikekit.com for a sale price of £389.99.